The Eastern Europe Studies Centre together with Stefan Batory Foundation invites the public to a discussion on gender equality in Belarus. The project Civic Dialogue hosted a panel discussion on how to modernise the Belarusian economy. The Central Electoral Commission of Belarus agreed to implement some of the changes proposed by the Helsinki Human Rights Committee. Now the central governing bodies of political parties and other public associations will have the right to send observers to precincts during voting. Art Siadziba launches a campaign to buy its own premises. Deprived of rent for the fifth time, Art Siadziba has launched the Building Art Siadziba Together! campaign to raise money for its own premises. The organisers plan to collect $200,000 to purchase their own premises in Minsk's downtown and create an independent cultural and social space open to all Belarusians. 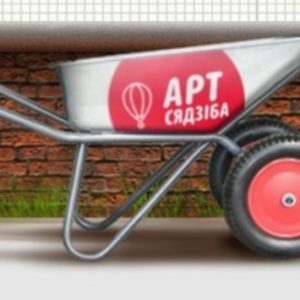 The campaign has its own website dom.artsiadziba.by – an interactive house where anyone can buy bricks, each of which costs $5. Discussion of a universal gender webportal. Eastern Europe Studies Centre (EESC), together with the Stefan Batory Foundation invite the public to the event GenderBY.com: Creation of an Internet Portal on Women's Rights in Belarus. The discussion is to raise points on the key aspects of creating a universal and interactive Internet portal about gender equality in Belarus (tentative name –www.genderby.com) and establish a working group for its development. The meeting will be held on 14-15 March at the EESC office in Vilnius. The contact e-mail: aivaras.zukauskas (at) eesc.lt. The 2nd Social Forum set to take place in Minsk. On 10-11 April the Minsk International Education Centre (IBB) will host the 2nd Republican Social Forum. Organised by IBB and the Ministry of Labour and Social Protection, the Forum is to propose recommendations for the development of social services on the basis of multi-stakeholder participation and dialogue. The Forum's thematic areas will include such topics as NGOs on the market of social services, public support for and trust in NGOs, socially responsible economics and partnerships in the social sphere, etc. All types of organisations, except political parties, are invited to participate. Leadership for women. The forums SYD and IRI have begun accepting applications for participation in leadership courses for young Belarusian activists entitled Expanding representation and opportunities for women in political parties and NGOs. The course aims to teach a group of young Belarusian females about gender issues, women's leadership and international experience in this field. The training will be held in Lithuania; all of the invited lecturers are gender experts from Belarus, Lithuania and Sweden. The application deadline is 10 March. Non-formal education for all generations portal. On 17 February a new Internet portal Non-formal education for all generations was presented in Minsk. Initiated by the Belarusian Association of UNESCO Clubs, the web platform serves as a hub for communication for providers of non-formal educational services and consumers of these services and aims to provide timely and complete information to citizens of all ages about possibilities for self-development and improvement in various areas of an individuals' personal and professional competencies. Civic Dialogue: Paths to modernise the economy of Belarus. On 25 February in Minsk, Civic Dialogue hosted an expert roundtable on Strategies for the Modernization of the Belarusian Economy. No government officials attended the event, though they had previously declared their willingness to participate. 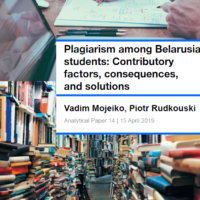 At the same time, the organisers believe that the conclusions derived from the roundtable could be used when drafting the state strategy of development of Belarus until 2030. Training course on cross-sectoral dialogue. CSO representatives are invited to participate in the educational course Developing the capacity of CSOs in conducting cross-sectoral dialogue. The course is organised by the ACT educational NGO and the Assembly of Democratic NGOs and aims to develop the competencies required to conduct effective dialogue with other sectors (government, business, international agencies, etc.) in the interests of specific target groups that are being served. The training course consists of six 3-day training sessions; the first training will be held on 24-26 March. Energy Club presented Austrian experience in Minsk. The Energy Club launched a series of events dedicated to the EU's energy efficiency and renewable energy sources policy (RES). The first gathering for the new series took place on February 26 in Minsk. The invited speaker, Prof. Herbert Lechner, Deputy Executive Director of the Austrian Energy Agency guided the audience through the EU's Climate and Energy Policy, while suggesting practical examples of how Austria deals with its own energy security challenges. The event is organised under the auspices of the ODB EU-Belarus Task-Force programme. Eco-campaign Social Network. Live launched. The new campaign aims to convey important environmental information to citizens who do not use the Internet, as well as raise the level of social activity and the level of personal responsibility of Belarusians in general. Graduates of the School of the Environmental Activism together with the Green Alliance prepared five leaflets, which describe in detail where one can deliver clothes, dispose of paper products or dangerous waste. Everyone can take part in distributing leaflets, printing them out and posting them in public places. The right to public dissent is taken away. In Belarus, the public discussion of urban development projects will be conducted in only two formats – either through strictly informing participants and conducting an analysis of public opinion or through the work of a commission. Public meetings with the massive participation of citizens will no longer take place. These "innovations" have been included into a resolution of the Council of Ministers, which is entering into force on 1 April 2014. Viasna fails to protect website in court. On 18 February the Central District Court of Minsk heard a complaint filed by the Deputy Chairman of the Human Rights Centre Viasna, Valiancin Stefanovich, to challenge a decision by the Prosecutor General's Office to blacklist the spring96.org website as a resource with restricted access. The court ruled that Valiancin Stefanovich was legally an improper plaintiff, because he is not the owner of the website spring96.org, and the blacklisting of the website did not violate his personal rights. Another prosecutor's warning to independent journalists. On 19 February Jury Dziashuk was summoned to the Prosecutor's Office of the Lida district, where the journalist received an official warning, referring to a ban on working for foreign media without accreditation, as well as the inadmissibility of the publication of unverified information. BHC complaint satisfied – CEC reverses the admission of observers. On 19 February the Central Election Commission satisfied an appeal by the Belarusian Helsinki Committee and amended the Regulation on Election Observers: now central governing bodies of political parties and other public associations will have the right to send observers to precincts during elections. According to human rights defenders, it is a positive step as the procedure is more liberal. On 7 March, Ukrainian espreso.tv reported that Belarus refused to send observers to the Crimean referendum. 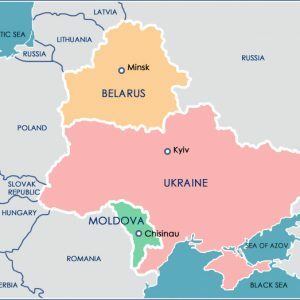 This is not the first time that the Belarusian authorities have disobeyed Russia, because the interests of Minsk and Moscow are in opposition to one another on several key issues. Lukashenka will not support the precedent set by the Kremlin’s invasion of other countries in the name of protecting the interests of its Russian-speaking people. The Belarusian authorities seem reluctant to lose credibility in the eyes of its Baltic neighbours, their main advocates in the West. Moreover, Russia will lose tremendous sums of money as a result of the Crimea invasion. At some point there may not be enough money for Belarus, Abkhazia, Transnistria and other regimes it supports. This scenario becomes even more likely if oil prices will fall, particularly if Western powers will facilitate it. On 5 March, Lukashenka and Nazarbayev refused to support the actions of Vladimir Putin in Crimea. This once again testified to the fact that the presidents of Belarus and Kazakhstan do not see themselves as vassals of the Kremlin. Lukashenka`s stance shows that Belarus` foreign policy remains guided by its own interests, not Russian ones. And at the moment, it is in Belarus' interest to support Ukraine, not Russia. By refusing to send its own observers to Crimea proves that even for Putin's closest allies, his actions look like overkill. Belarus and Kazakhstan becme seriously concerned that the Kremlin may one day want to "protect the Russian-speaking populations" of their respective countries. By refusing to support Putin in Crimea, Lukashenka is protecting his own interests and borders. Belarusian authorities also intensified their efforts to rebuild relations with the West. On 1 March, Uladzimir Makej successfully completed his official visit to Lithuania. If Lukashenka’s regime supports Putin, it will lose credibility in the eyes of Lithuania and Latvia, countries that are closely watching the developments in Ukraine. If Lukashenka supports Russia in Ukraine, what would prevent him from supporting the same actions, if they take place in the Baltic nations in the future? This is not the first time Aliaksandr Lukashenka has challenged Putin on the international arena. The non-recognition of Abkhazia and South Ossetia has become one of the most famous examples. Lukashenka repeatedly promised Putin to recognise independence of these territories, but he was always able to find a new way to hold out, as he was never truly contemplating recognising them. Thе Belarusian authorities have managed to preserve their geopolitical flexibility and even earn money from it. Belarus has become a mediator in economic and transport relations between Russia and Georgia. Belarusian Airlines flights between Minsk and Tbilisi are always full of Georgians going to and from Russia, particularly when there were no direct flights between Moscow and Tbilisi. Lukashenka`s regime also continues to try to find new partners to balance the influence of Russia on Belarus. Belarusian authorities have persistently maintained their relationship with China. On 4 March, Uladzimir Makej and Chen Guoping, Deputy Minister of Foreign Affairs of the People's Republic of China, met in Minsk. Military relations, production of automobiles, and Chinese energy projects irritate the Kremlin, but give Belarus a cushion, if only superficially, in case of a serious conflict arising with Russia. Likewise, Belarus has pursued its own interests developing relations with Venezuela, with oil imports from Latin America becoming the biggest challenge to the region's energy dependence on Russia. However, Belarus still firmly remains in Russia’s camp. Russia and Belarus often vote the same way in international organisations such as the United Nations or the Organisation for Security and Co-operation in Europe. However, this not just the result of Minsk’s economic dependence on Moscow, but also because of their perceived shared interests. Both countries despise democracy and human rights and would like to see the world with more than one centre of decision-making. Today these countries continue to support Bashar al-Assad, as both have had good economic relations with Syria in the past. The Ministers of Foreign Affairs of Belarus and Russia often hold consultations with one another, with the most recent discussions between the parties took place on 6 March. Although Minsk, because of the asymmetric nature of their relations, can hardly affect Moscow's position on specific issues. Also, the ministries have signed several treaties which demonstrate their closeness. For example, citizens of Belarus, in the absence of its own embassy in a foreign country can always contact the Embassy of Russia. Belarusian diplomats seem to be the least bound to Russia. The heads of other ministries almost never meet with their counterparts from the West and communicate only with their Russian colleagues. While many top officials from the security forces have studied in Russia, only one person among the senior staff of the Belarusian Foreign Ministry was educated in Russia. Moreover, Uladzimir Makiej graduated from the Diplomatic Academy of the Ministry of Foreign Affairs of Austria and Minsk State Linguistic University. Valiancin Rybakoŭ, MFA Deputy Minister, completed a training course at the Foreign Service Institute of the US State Department, a rare case for the Belarusian elite. Unlike most of their their colleagues from other ministries, Belarusian diplomats are able to speak the Belarusian language fluently. Although the Belarusian authorities have preserved the possibility of an independent foreign policy, Russian pressure is sure to increase in the coming days. Its economic and energy dependence, as well as the various integration processes already in the works, make Belarus less flexible. Although today Lukashenka does not look like a Russian puppet, his position in relations with the Kremlin can only become but weaker given he current dynamics at play. Russia is gradually increasing its leverage over Belarus, including demanding the sale of its state enterprises. This will also affect Belarusian foreign policy. Although Lukashenka conducts an independent policy in its relations with Ukraine, China or Azerbaijan, these relations do not guarantee the healthy functioning of the Belarusian economy. Russia does. Balancing between the West and Russia in the shadow of what many dubbed as new Cold War becomes an increasingly difficult task for Belarus. The Belarusian authorities will pay for not supporting Russia on the Crimea issue, as the Kremlin will hardly forget this diplomatic slight. For as long as Russia has resources, it will invest them in speeding up Eurasian integration until Belarus loses its sovereignty altogether. The Eurasian integration promoted by Russia is no longer a voluntary process. Russia will have to stop bullying its neighbours and supporting undemocratic regimes if following the occupation of Crimea the health of its economy weakens and assertiveness of the rest of the world strengthens.